The Mimatic program of Standard Angular Heads provides Nikken Europe customers with the means for complete, integrated machining. It is now no longer necessary to repeatedly relocate tools and components which provide a considerable reduction in production costs. This also allows rationalisation and an increase in flexibility for the entire production process. Mimatic Angular Heads not only increase the efficiency of your production but also allow potentially inaccessible areas within housings or bores to be reached. Mimatic products are compatible with all types of machine tool (manual through to full CNC tool changing). 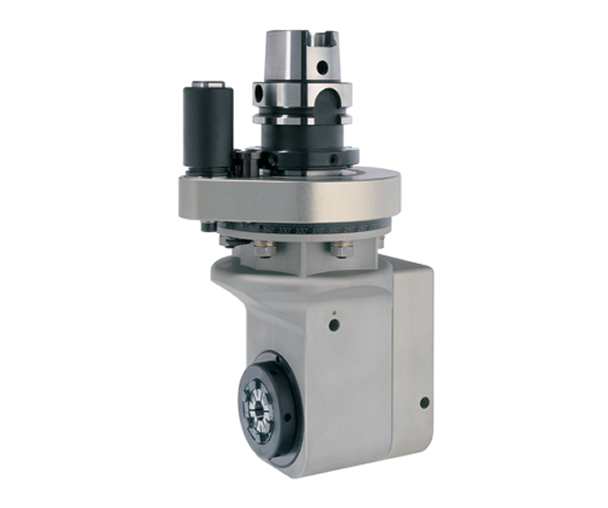 Numerous input spindle options are available as standard including SK,ISO,BT,HSK,CAPTO. For further information on the Mimatic standard range or any of our spindle optimisation products please contact the Euro Centre.